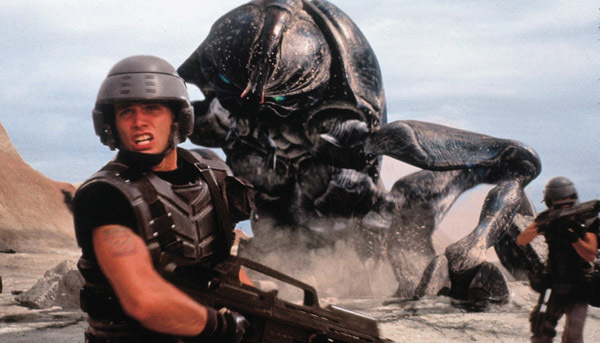 Just a boy and his giant insectoid fighting machine. Do you like bugs? Do you think they are the coolest thing ever? Perhaps you might enjoy being transported to a world filled with giant, sentient bugs. There, bugs are turned into giant fighting mechs! It may seem far-fetched to you, but it was how two young Japanese kids named Yamato and Tsubasa spent their summer vacation. Okay, they’re not your average kids. After school they like going to a nearby hill where they look for bugs. And on one of those days they’re going to hear bugs talking to them, which is going to lead to the bugs transporting them across space to the far-off planet Cimexus. Does this sound far-fetched for a game? Not really in comparison to the inane subjects around which some games and television shows are built nowadays. Anyway, our heroes will unite with and fight against other Earthlings to free Cimexus and eventually Earth from the clutches of an academically jilted professor. Kind of makes you rethink higher education, doesn’t it? The concept does not ill serve this game, but the title does. “Drone Tactics” makes sense once you understand the game, but little when you’re reading it on the shelf of a game store or website. If one did not know better, the name would come across as boring, unimaginative, and unclear. 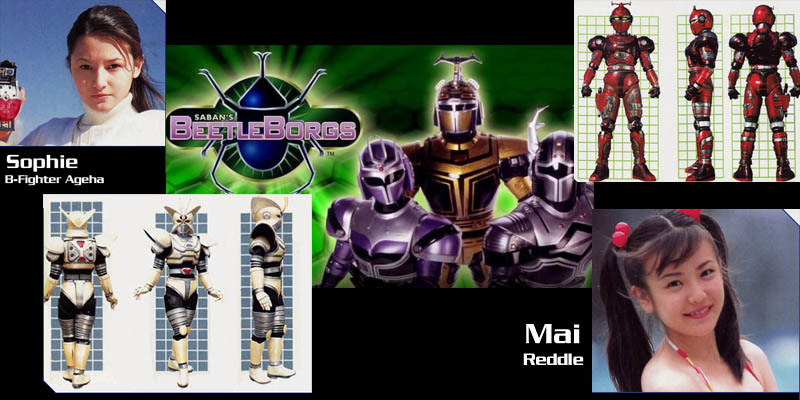 It needed a subtitle like, “Alien Bug Mech War.” Or, “Battle of the Bug Bots.” Even if neither of those subtitles float your boat, they do add understanding. 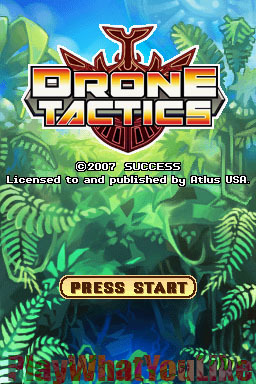 Since the word “tactics” is so often used in this genre, which in itself is fine, adding a single word as generic as “drone” did not cut it. That’s too bad, because there’s a solid game here. Beneath the simple trappings are fun mechanics that will challenge you tactically. We also think it comes with a straightforward, cute story which was deeper and more entertaining than that offered by the popular Advance Wars. These guys also like bugs! The setup is basic and conventional. You see the square grid-based battlefield through a single angle downward. It cannot be rotated. Some of the maps are very large and require scrolling through numerous screens. There is a mini-map to help you orient. You can field a maximum of eight units. Snails, Slugs, and Bugs: Your largest mech (shaped like a snail… are snails insects?) acts as a mobile docking bay/repair base. It adds a welcome dimension of tactical thinking. Should you use a special item to repair a damaged unit, or pull him out for a round by docking in the mobile base? But losing your snail means losing the battle. Should you risk bringing it closer to the front line? How much money are you going to spend upgrading so it can withstand more punishment? I Did it My Way: Your bug mechs can be customized at three different hard points: The front, often used for melee. The side, often used for guns. The back, often used for armor. There are items that boost accuracy, defense, or hit points that can be fitted onto any of the three hard points if compatible. This allows great flexibility in how you decide to wage war. 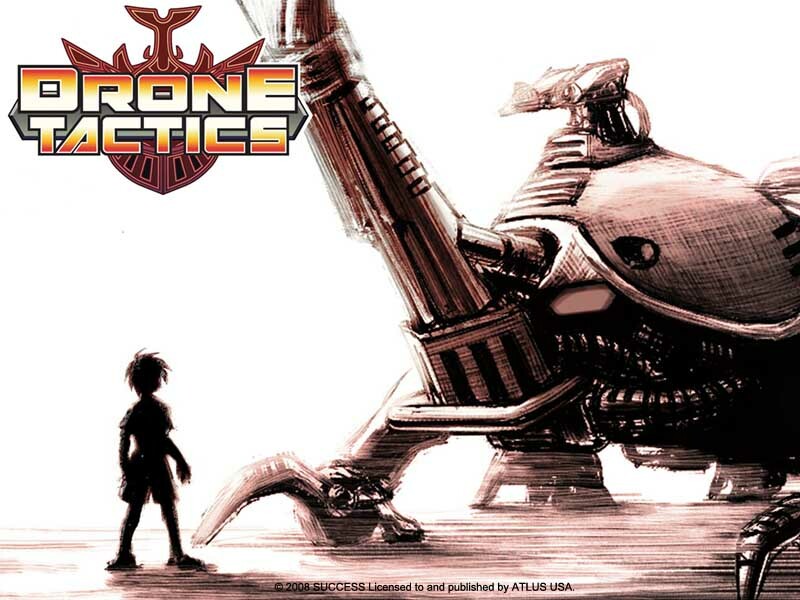 If you are big on melee attacks, guns, or prefer long-range bombardment, Drone Tactics accommodates. All your units can be customized in terms of color and logo. And even the logos can be customized. Customized colors are visible during attack renderings, not on the battle map. A good choice to prevent opposing forces confusion. 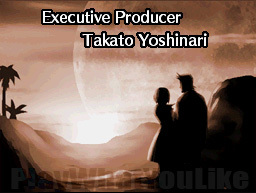 They included a small, but fitting epilogue for the characters at the end. You Take the High Road… A couple times you’re asked which forking path to take. They’re described so you can choose the path that matches your style of play. Relying heavily on flying units would make movement constricting terrain easier to handle. If your force centers around slower moving melee units, you might choose the path with open spaces to take advantage of their power. 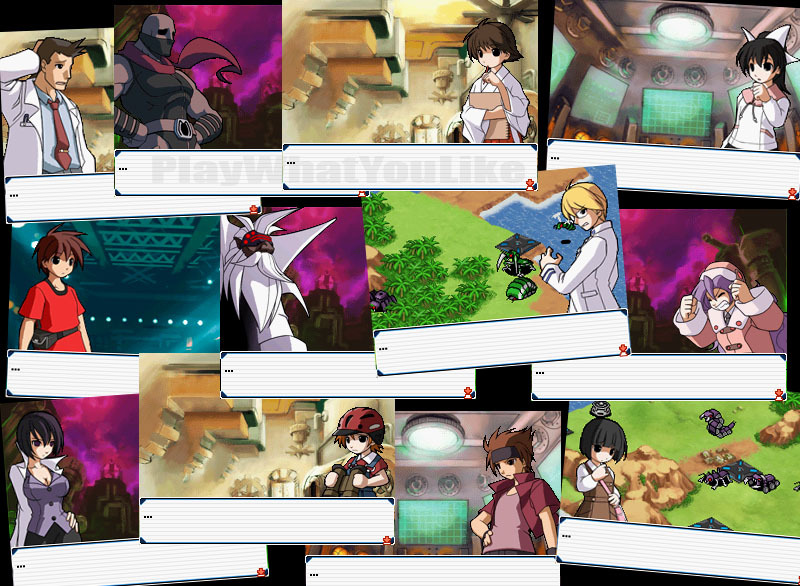 Player choice and style adaptation are good things. We would have liked to see more of it. That mammoth cannon is bigger than your vehicle. Oh the gas mileage! Real (Accurate) Time: Real-time, 3D combat renderings reflect accurately all the modifications done to your units, including all the weapons and accessories chosen for all the hard points. The animations can be skipped, which is important. But they are not onerous, with that option. They are quick, and can be watched when you feel like it. Monster Reborn:Later in the game you finally get the ability to revive a fallen unit during the battle. Although a unit’s destruction during battle means little in terms of consequences, it does add tactical options when you know the unit sent on a dangerous path can be revived to help later in the battle. But there is a catch: It can only be used on the last unit destroyed. Easy Listenin’: The music is what you might expect from a good title of this nature. Is it Yggdra Union or Fire Emblem? No. But it is well done, and passes the ‘hours of play’ test. There’s enough change-up in the battle music, and enough tracks for all the different activities in which you can participate. A central mechanic is the ability to choose your response to attack. We’ve hardly seen this up to now. It was tactical fun, and helps a game that could easily fly under the radar show up on the SRPG map. So how does it work? What are its ups and downs? Once attacked you have three choices. The first is ‘counter.’ If your unit survives the attack, it will reply with the same kind of attack. This works for two out of the three attack types, melee and guns. (If one of your long-range units is attacked by a long-range unit, no counter is possible.) There is no blanket right answer. How strong is your unit’s natural defense? Is it worth it for them to take the hit to return fire? The second choice is ‘defend.’ This comes in quite handy when trying to preserve your units, especially those with high armor and defense. The drawback is no return attack. The final choice is ‘evade.’ This is good for high-speed units, allowing the possibility to avoid being attacked completely (although still no return attack). But this is the least appealing option, especially in the later game as accuracy for all units increases. Attacks are harder to evade, and a single strong hit can take a unit out. Fast units generally have lighter armor making the price of failure-to-evade too high. Allow the long-range attackers to return fire in-kind, and not just the close range melee and gun wielders. This could lead to fun artillery bombardment duels and more tactical decisions. Bugs can be super heroes! The Story is Not Totally Asinine! We read the story was shallow, and the dialogue empty drivel. We expected the worst. However, what we got was a little strange, on the simpler side, but cute. 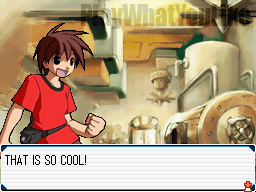 Did you like the story in Advance Wars? It is more along those lines, although deeper. There is strife between the characters, offbeat characterizations, and emotional response. It all would’ve been better, though, if we were allowed to skip through the text when viewed the second time. XP: Not Just About the Finishing Blow: We enjoy some control over experience distribution. If we are trying to build up a particular unit, we don’t mind arranging (sometimes with difficulty) for a particular unit to get the killing blow. Drone Tactics takes that part of experience gathering out of your hands. While XP awards still seem to be related to performance, there’s no way to game the system. After the round’s automatic points distribution, you are given opportunity to apportion extra XP to whomever you like. That small option goes a long way for player satisfaction. Grind or Get Squashed Like a… Bug: About a third of the way through you may find yourself having a difficult time. We did, but we were not grinding in their Badlands maps designed for that purpose. Skill can only make up for so much difference in forces. We did end up having to grind, but the Badlands are fun, that is the first half of those maps. At exactly halfway through they get much harder, but at that point you’re already strong enough to beat the game, so perhaps this was by design. It got a little frustrating though, not being able to beat a Badlands map in the middle of the pack. But we were not willing to pointlessly grind on previously conquered maps so that we could. There are advantages to various terrain types, which is a good thing. But aside from high defense tiles like woods, the rest are a non-factor. The AI was surprisingly tough, and sometimes slightly frustrating. It goes for your weakest unit, the best match-ups, and surrounds of isolated troops. Units that don’t deploy for a battle still get XP afterward. Yeah, it’s not fair, but it does keep units from dropping so far back they might never be used again. You may just need them later. Venus Fly Trap: Sending your flying units over to get that treasure? When they introduced treasure, the first couple were massively valuable. That was to bait you in (even having the enemy pilots goad you if you missed them). A fair tactic to get the player interested. But afterward they are worth less and less. Better to learn this early and stop risking units, sending them on dangerous, isolated missions. Bad Match-Ups, This Ain’t e-Harmony: Drone tactics is very sensitive to unit type match ups, and it’s not hard to experience a bad one by accident. The amount of damage dealt in these cases is beyond catastrophic, possibly destroying a unit with a single attack. For the most part, we are not fans of one attack deaths in SRPGs. It promotes overly cautious play which leads to boredom. While some of these unit type match-ups were obvious, other times it’s layered, when weapon types are thrown into the mix. Base match-up effectiveness on weapon type OR unit type, not a mix of both. Or at least consider reducing the numerous (sometimes unclear) factors affecting the outcome. “Charge” your way to victory! Special attacks, maneuvers, and almost all healing abilities are performed with cards. They are usable only once a battle, and the amount you can hold is limited. After battle you are awarded more basic ones. A fun mechanic is being able to combine the basic ones in various ‘recipes’ to make more powerful ones. The game doles out recipes sparingly, and less so if you don’t grind. It does allow you to free mix without recipes, but the conventions are not predictable enough. Free mix becomes more of an experimental time sink than successful creation endeavor. You need a lot of level I cards to make a level II card, and you need a lot of level I cards, and some level II cards, to make a level III card. And so on, The system ramps up this way. But we found that unless you grind (excessively), you do not have sufficient cards to fuel this pyramid scheme. So unless you are awarded the most advanced cards, it’ll be hard to create them, and that is assuming you even get the recipe, which for many you won’t. Cards bring about more frustration than they should. This creation system has potential, but misses the mark with inconsistent requirements, unintuitive mixing, and lack of raw material. Allow players to make their own custom cards. This could be accommodated with the creation of a handful of variable strength template types. Thanks for the Option to Waste My Turn: One drawback to the counter mechanic (mentioned above) starts with armament of only token attack value, mounted because of its strong secondary properties. 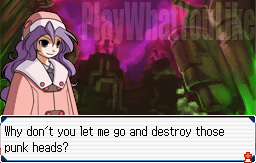 (Like extra defense or hit points, etc.) With a lot of units to field, it’s difficult to remember everybody’s equipment in all three slots. You might find yourself relying on the game to tell you whether a counter is possible. (Does this unit have guns mounted?) The game is not taking into consideration the worthless value of your attack. This is an annoying aspect of an otherwise good mechanic. Fat Writing With Little Words: Since we write for games, we know how hard it is to distill dialogue down to its absolute minimum. We know the importance of minimizing button presses. These are lessons not learned on Drone Tactics. There are too many one-word responses that require a button press, which add little to the conversation. 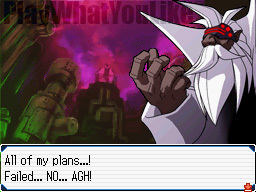 Additionally, there’s over-reliance on our favorite RPG response, the ellipse ( … ). It was used… a lot. Did we say a lot? We meant MEGA-use. But wait, even the bugs got into the act! And if all that wasn’t enough, they added punctuation to punctuation. Cards make powerful attacks. On occasional maps, every enemy uses a card every initial attack. That’s a cheap way to make it hard. It’s excessive, un-fun, time-consuming, and frustrating. With eight units deployed, relatively slow (sometimes very slow) terrain traversal, enemy producing factories, and generally high numbers of enemies, battles get too long. We like the ‘choose your response to an attack mechanic,’ but evade’s lack of usefulness in comparison to ‘defend” is imbalancing. It makes fast units less valuable, and thus slowed the game. Our hero (amongst others) broke out the hipster lingo. This is Not Mario Party: That’s the game I would play if I wanted to tap the screen repeatedly as fast as I can every time I use a certain class of card. I’m playing a turn-based strategy game because I don’t want to try to smack the fly that is racing around the screen, or frantically flick bombs above a line. This is the single biggest element dragging this game down. Additionally, if you don’t tap the screen one zillion times to their satisfaction, you don’t get the full use out of your special ability card. With only one use per battle, that is no fun, and leaves you always thinking it could have been better. Return of the Moronic AI Ally: It is one of our least favorite mission types. “Protect so-and-so (the unit with the moronic AI) and see that they don’t come to harm.” Really? And generally speaking the unit you’re supposed to protect is uncooperative, and worse may charge the enemy. Even if you don’t have to protect them, which is sometimes the case, their firepower is wasted in unproductive ways. We could not use a healing card on them either. Two Things Need Two Different Names: We appreciate unit customization with various weapons and accessories. However it’s not always clear what help you get. In fact, ‘ACC,’ which stands for accuracy, was really two different qualities. One for artillery, and one for guns. Sometimes one accessory has two ACC ratings. We surmise there is some sort of method to figuring out what each item’s ACC affected, but it should be clear. With just a little care and tweaking, vehicle customization could be improved. Immortal Bugs: That would be an awful problem on earth, and it’s not the best way for an SRPG to handle it either. Death needs to matter in some way, as you have heard us mention before. Now admittedly, this game is not in the serious vein to include death. But that does not mean there cannot be a penalty for poor play. How about losing half your money to revive the unit? Perhaps a very expensive resurrection card needs to be purchased. What about having the fallen units sit out the next battle? Just about anything is better than nothing, which is what they chose. Fun designs. The moth has a great sound effect, and the centipede, as you will read, is nasty. The centipede unit has great range, and is so good against flyers, that we sometimes felt like leaving them in our hanger. 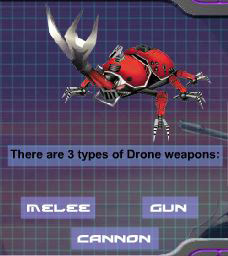 Flying units did not get the love in Drone Tactics, a game based on insects! The terrain is absolutely, 100% flat. Despite various terrain types, there is no elevation play. 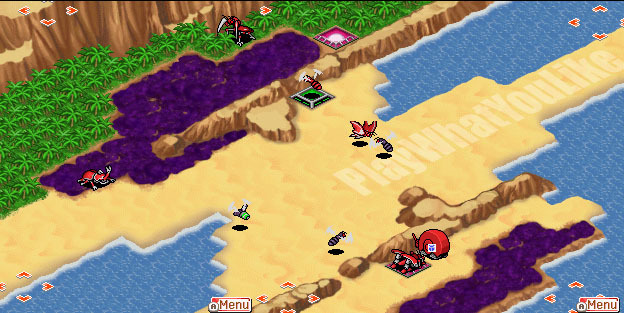 And unlike Advance Wars, we think this game could have incorporated it in some small way. Are You Trying to Slow the Game Down? With large maps taking up many screens, limiting some units to only one square of movement (or a small amount) gets old fast. Later in the game, maps were made deliberately onerous to traverse. Not necessarily strategic or tactical, just onerous. A real slog. That is not the way to make the game harder, or longer. Are You Trying to Make Us Nauseous? 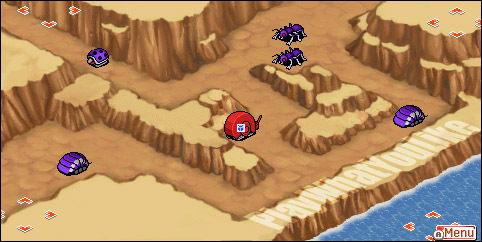 During the enemies turn, when the game is showing you all the enemy unit’s moves, the camera focuses on each one. But the maps are sometimes very large, and it seems the game is picking units on opposite sides of the map consistently, and on purpose. It is nauseating watching the camera bounce rapidly back and forth between fifteen to twenty units. We just turned away after a while. For goodness sake, pick the next closest unit! Now You’re Just Being a Jerk: Later in the game, it has an annoying tendency to leave a few measly hit points on enemy units that should be destroyed. At first we thought it was just coincidence, or bad luck, but when it happens consistently, we know it is more. Seriously developers, this does not engender goodwill with players. Could you not round down when hit points were less than ten? Is there not a better way to regulate the difficulty level without being so overt and heavy-handed? So, there IS a market for those obsessed with insects. Like Rebelstar Tactical Command, this is not a game about visiting towns, knocking on doors, and searching people’s homes for items. (Why do they allow that anyway?) It is not about choosing cities on a world map. The game feeds you story bits between each battle. In some ways it is burden-easing, allowing you to focus on and enjoy unit customization and battle strategy. Drone Tactics is not a budget buster. There is no voice work, and no movies. There are no cuts scenes, nor tremendous special-effects. But it doesn’t need them to be fun, and on that front it succeeds.